Yesterday, I made gluten free banana muffins. They. Were. Horrible. I threw them out. Really, they couldn't be be saved. It's the second batch of buttermilk/oil based muffins that haven't worked for me - is it too soon to give up? I don't think so, so I am giving up and sticking with my trusty old banana muffin recipewhich works a treat every time! Well, apart from the gluten free banana muffin fail, I also cleaned out the study. Lots of filing, opening of old birthday cards (I found $100 - woo hoo!) and lots of shredding of old bank statements. After these efforts to clean up, my man and I got out of the house and spent a lovely afternoonat Soda Sunlounge (details here) soaking up the rays and scoffing a delicious gluten free risotto paired with a crisp cider and then we wandered into tow to peruse the stores, but mainly to look at new laptops for my man (even though my little guy here is slowly dying - don't worry that recently found $100 is now in my 'new laptop piggy bank') . 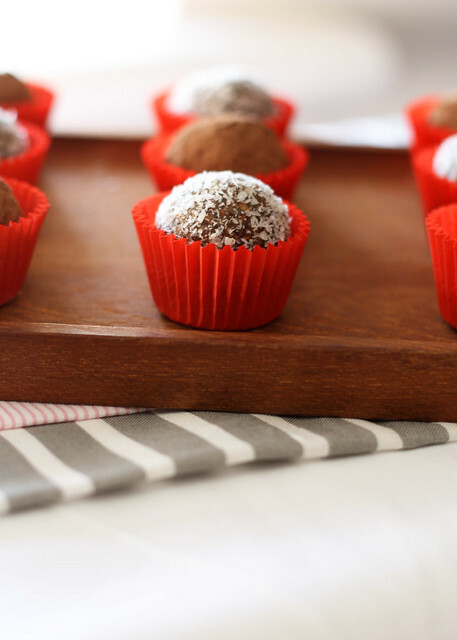 It was such a lovely weekend that it was made all the better as I buzzed up these delicious grain free, gluten free, egg free, lactose free date & almond truffles that I had bookmarked some time ago. Boy are these tasty ! They totally made up for my previous efforts and I'm delighted to share them with you... so that you can, maybe, share them with someonenext Monday; Valentine's Day...? Next time I'm going to be decadent and dip them in some dark chocolate.... mmm.... I am drooling already just thinking about that sweet chocolate crunch and chewy middle... I think I'm gonna go get my food processor out again! 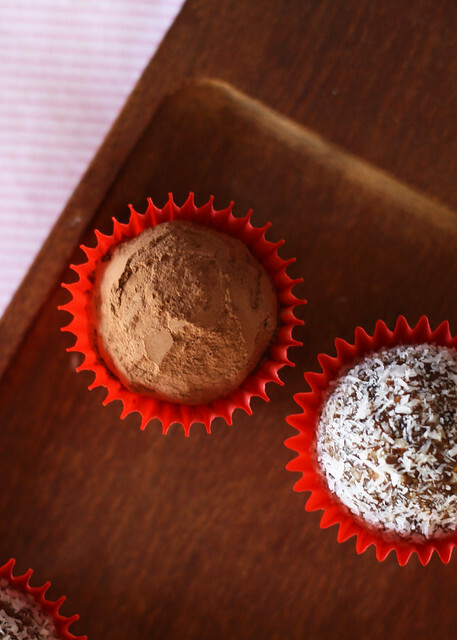 So, go - get in your kitchen and make these for your Valentine! Place the almonds in the bowl of your food processor and buzz until a coarse meal is achieved (approx 2-3mins). Add in the raisins, dates and figs and process on high until the mixture sticks together like a pastry dough (approx 3-5mins). Remove the mixture and using a teaspoon scoop portions and roll into balls. 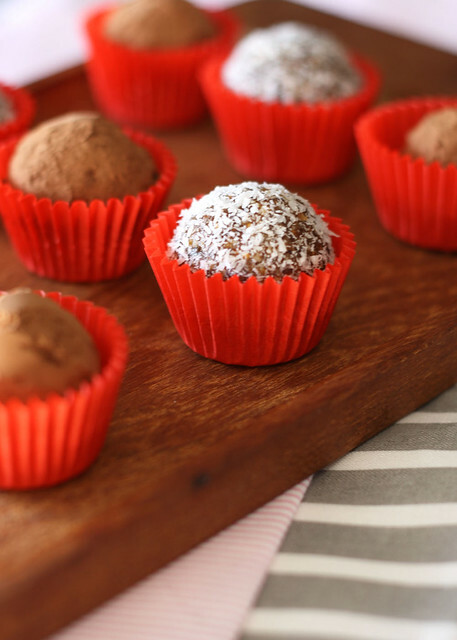 Coat in the cocoa or coconut and place onto serving tray or into little mini patty cases to gift. Will keep in an airtight container for approximately 1week.